In many cases, mathematics is an escape from reality. In Adventures of a Mathematician (1976), 120. Part of a longer quote that begins: “In many cases, mathematics…” on the Stanislaw Ulam Quotes page of this website. In the summer of 1937, … I told Banach about an expression Johnny [von Neumann] had once used in conversation with me in Princeton before stating some non-Jewish mathematician’s result, “Die Goim haben den folgendenSatzbewiesen” (The goys have proved the following theorem). Banach, who was pure goy, thought it was one of the funniest sayings he had ever heard. He was enchanted by its implication that if the goys could do it, Johnny and I ought to be able to do it better. Johnny did not invent this joke, but he liked it and we started using it. In Adventures of a Mathematician (1976, 1991), 107. Von Neumann, who was raised in Budapest by a Jewish family, knew the Yiddish word “goy” was equivalent to “gentile” or a non-Jew. Stefan Banach, a Polish mathematician, was raised in a Catholic family, hence “pure goy”. Ulam thus gives us the saying so often elsewhere seen attributed to von Neumann without the context: “The goys have proved the following theorem.” It is seen anecdotally as stated by von Neumann to begin a classroom lecture. 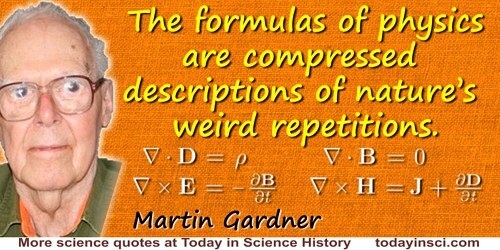 As described by Martin Gardner in book review, 'Adventures Of a Mathematician: The Man Who Invented the H-Bomb', New York Times (9 May 1976), 201. 13 Apr - short biography, births, deaths and events on date of Ulam's birth.